If you’re a lover of running, chances are you’re not looking forward to the weather cooling down. And for some runners, winter temperatures even mean a temporary hiatus from running. 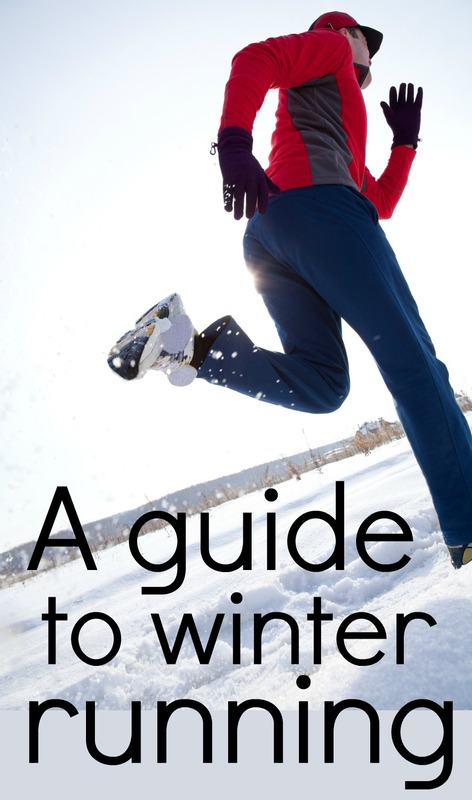 But with the right gear and the right techniques in mind, you can enjoy running outdoors all winter long. Here are some essential tips for keeping up your running game during those cold, winter months ahead. Running tights are a staple in any avid runner’s closet. The great thing about running tights for winter? They help keep cold air out while wicking moisture away from the skin, and they’re often versatile enough for wearing during the fall month as well. If you’re prone to sweating, you might look for special running tights that feature mesh fabric in high sweat areas such as behind the knees. It’s also great to have looser, wind resistant pants to wear over your tights for those days when it’s too cold or too windy for running tights to be enough. If you can, you’ll want to invest in a few baselayer tops to wear throughout the week since they will be absorbing the majority of your sweat as you run. The best baselayer tops for running feature a merino wool fabric that wicks away moisture while offering more warmth than other fabrics of the same thickness. Make sure at least one of your baselayer tops has a hood in case you want to go baselayer-only on a rainy day. No matter how you feel at the beginning of a cold weather run, your hands are going to be freezing by the end. The best gloves for running offer warmth while also granting you mobility, allowing you to do things like tie your shoe and open your water bottle. Touchscreen compatibility? Even better. Wearing a hat is one of the best ways to make cold weather running more bearable—and as an added bonus, it’s easy to remove a hat if you get too warm on your run. Many runners opt for a simple wicking skull cap, and others supplement by wearing a thermal hat on top if needed. Other runners prefer to just wear a headband to keep their ears warm. Many forget about keeping their neck area warm while on their runs, and the perfect solution for this is a neck gaiter. Select one that is specifically made for running. Whether you get one that covers just your neck, both your neck and your chin, or your entire neck and head is entirely up to you. Depending on your particular needs, additional running gear might be a good option for you. Some runners get face masks for running if they live in particularly cold climates, as well as even a pair of goggles. Don’t go overboard with your gear. Now that you have the basics in running gear down, you’ll need to remember: you don’t want to go overboard as you dress for warmth. If you start out your run feeling nice and toasty, chances are you’ll be sweating profusely by the end of your run. As this article suggests, you want to go for “light and warm.” Dress for weather that is 15 degrees warmer than it really is outside. You might be used to the longer days of summer, but remember that the days get drastically shorter come wintertime, meaning that you have to make running even more of a priority. Do your best to run when the sun’s out, such as in the morning before work or during the day if possible. And if you do find that you have to do your runs when it’s still dark out (such as in the wee hours of the morning or just as dusk is setting), be sure to get reflective clothing that will help others see you. A head lamp can also help you see better as you run. Of course, it’s never a good idea to try running on ice, but even if the roads and sidewalks look clear, you could be at risk for running into black ice. Always keep a lookout for any potentially icy areas on the path ahead. While running indoors might not be your ideal, don’t forget that the treadmill can be a great backup option. If you’re hesitant to run outdoors due to cold or inclement weather, play it on the safe side and run on a treadmill instead; you never want to put yourself at risk for an injury. If you love the hills that outdoor running offers, you can play with the incline function on your treadmill. If you live in a climate that sees particularly bad inversion during the winter, you’ll definitely want to check the air quality in your area regularly before you head outside for your runs. Some days the weather report might tell you that it the air quality isn’t ideal for heavy outdoor activity. Finally, setting a running goal—such as signing up for a marathon in the early spring—can really help to keep you on track with your running during those cold winter months. Try setting a goal for yourself that will help keep you from shying away from your runs simply because it’s too cold outside.